Former President Nelson Mandela’s medical condition remains unchanged, the South African government has announced. Nelson Mandela, 94, has been in a Pretoria hospital since June 8 being treated for a recurring lung infection, and his condition became critical on Sunday. “Doctors continue to do their best to ensure his recovery, well-being and comfort,” the latest update said. The statement came as Nelson Mandela’s family members were meeting at his home in the village of Qunu. His eldest daughter, Makaziwe, and some grandchildren were said to be at the meeting in Eastern Cape province. Little has emerged from the family meeting, which South African media say was called to discuss “sensitive family business”. In the latest statement President Jacob Zuma thanked the South African public for “ongoing support and understanding”. His spokesman said on Monday that South Africans should not hold out “false hopes”. Mandela family members, including grandchildren, have continued to visit him in hospital, where dozens of white doves were released by a local businessman in tribute. The scene at the hospital, where well-wishers have decorated a wall with flowers and supportive messages, is described as quiet, save for waiting journalists. It is Nelson Mandela’s third stay in hospital this year with lung problems which are thought to date from damage sustained while working in a prison quarry. He contracted tuberculosis in the 1980s while being held in jail on the windy Robben Island. Nelson Mandela is revered for leading the fight against white minority rule in South Africa and then preaching reconciliation despite being imprisoned for 27 years. He left power after five years as the country’s first black president. 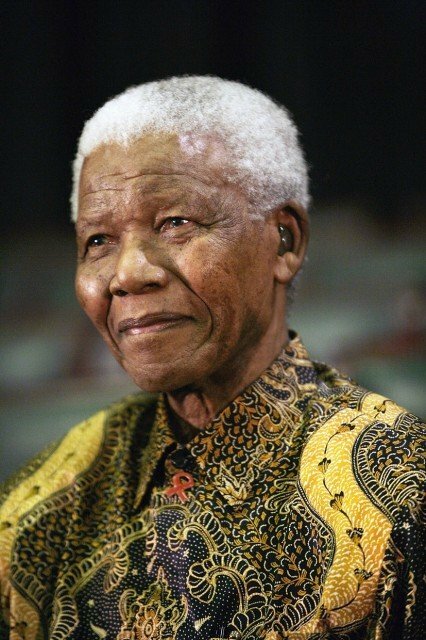 Nelson mandela retired from public life in 2004 and has rarely been seen at official events since.